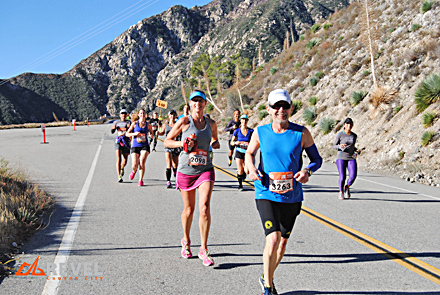 The Canyon City Marathon from the San Gabriel Mountains to Azusa LA County California on November 7th was my last marathon. I placed 3rd for my age group: 3:56:40. I have run in 15 of these 26.2 mile torture tours since a little before my 58th birthday. 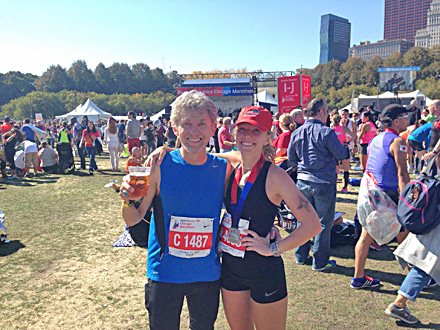 I agreed to run the Chicago Marathon October 11 2015 with my daughter-her first marathon. I had thought we would not get in, because it was a lottery. To my surprise Shawna and I were selected for Chicago. 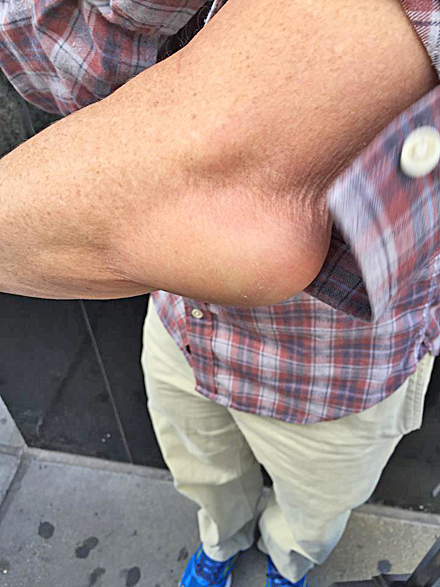 On the train ride from the airport I notice my elbow was swollen. It looked like a foot, but was not in pain. We learned it was bursitis at Northwestern Medical Center emergency room. Nothing serious, but the doctors attempts to drain it did not work. We walked over 5 miles that day not eating dinner till 8:30 pm. That is not best thing to do the day before a marathon. I dropped out of the race at mile 14. It was getting warm, in the high 60’s, and I assumed it would get hotter, which it did, and the thought of the elbow was still hanging over me. 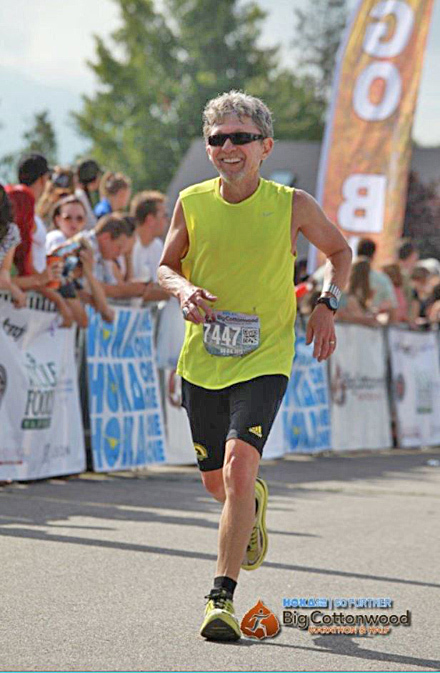 I thought I would run a faster race in my downhill marathon at Canyon City if I did not run two marathons a month apart. I have no problem dropping out of races. I have never run races to count the number I finish. I run to beat my personal record (PR) from my recent races. I had a blast at Chicago and my daughter had a good race with a 3:06. One of her friends ran a 3:05, but ended up in the hospital with hypothermia. Her temperature had reached 105 after the race and in the medical tent they lowered it with an ice bath, but her body didn’t reach a normal temperature until 5 hours after the race ended. It is funny and scary how runners think. Running marathons in the heat, which is anywhere from 60 to 90 plus degrees depending on the humility, requires some adjustment in your pace. If you are running all out, even in your 20’s, as my daughter and her friends were, you can have some pretty severe health effects. Downhill running for me provides an extra push. Also, with only a couple of weeks until I turn 66, I need all the help I can get. 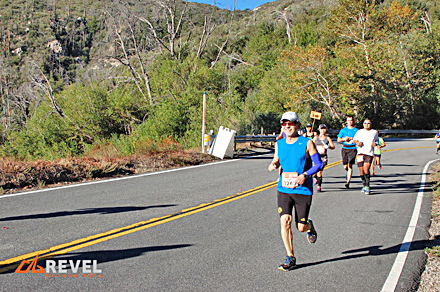 I was able to PR at the Big Cotton Half Marathon and downhill race in September 2014, winning my age group with a 1:37:02. That was beating my personal best in my mid 40’s. I didn’t have the same confidence this year. I was not able to sleep the night before worrying about the predicted mid-70 temperatures in Azusa. The fear of both the race pain and of potential injury, and the after race need to get back to the hotel, shower and get to my flight, kept me awake. It took me most of the night to rationalize and find solutions to these negative emotions. I was up at 3 am to get to the buses by 4 am. Somehow the motivation to beat my personal best had dimmed and now I was only interested in surviving the race. I was thankful it was my last marathon. The bus ride up to the top of the mountain was not without an incident. The driver hit a large rock, but managed to correct and stay on the road. There were significant cliffs and drop offs on the side of the road. It appeared that she was not that familiar with steep mountain driving. I already had my seat belt on and advised everyone “put on your seat belts”. Someone called out, “it will be alright.” At the Big Cottonwood Half Marathon, the bus driver was nodding off. I kept talking to him to keep him awake. Near the top of the mountain, the bus in front of us got stuck trying to make the last sharp turn. We were shuttled up on the bus in front of the jammed bus and the start of the race was delayed. I joined the 3:40 pace group for Canyon City. I would be running at slower pace than my 3:37 PR goal time. My pace leader was talkative and she over raced the pace by 2 minutes in the first 2 miles. She took me with her. She later tried to slow the pace of the group, but the damage was done. 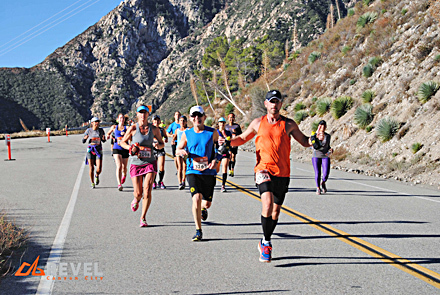 A marathon that you run too fast at the beginning doesn’t generally end that well, as the first 2 miles are the important ones to slow the pace. This is not that much, maybe only 15 to 45 seconds. It does however make a real difference in the race outcome. When I stopped for a long bathroom break before the hills 14 to 21, I knew my race was over. I ended with a 3:56:50 and was happy I had finished. It is a hard race, but pretty. I made it back to Santa Fe by 10 pm that night. It had been a long day.